All glory is due to God alone since salvation is accomplished through Him alone. 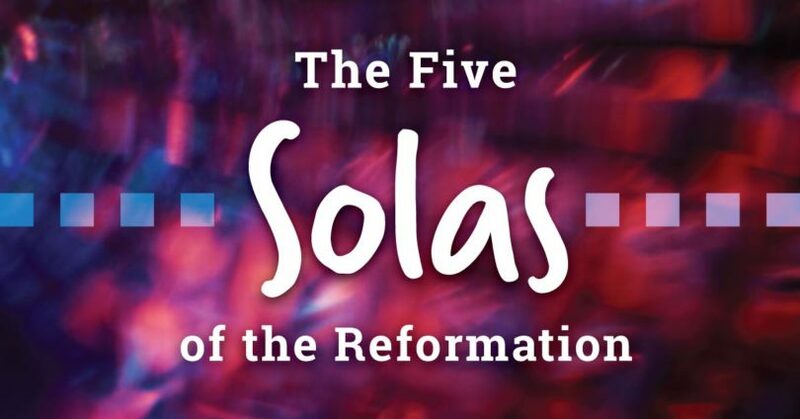 In part 5 of The Five “Solas” of the Reformation, Pastor Dan Cox reads from Romans 11:25-36. Salvation has been accomplished in Christ alone – the one mediator between God and man. In part 4 of The Five “Solas” of the Reformation, Pastor Dan Cox reads from John 14:1-6, Acts 4:1-12, and 1 Timothy 2:1-7. Salvation comes through God’s grace alone. Pastor Dan Cox reads from Ephesians 2:1-10 and Romans 3:9-64. Salvation is a gift of God received by faith alone. In part 2 of The Five “Solas” of the Reformation, Pastor Dan Cox reads from Romans 1:16-17 and Ephesians 2:1-10. Scripture alone is the ultimate source of authority for Christian doctrine and practice. In part 1 of The Five “Solas” of the Reformation, Pastor Dan Cox reads from 2 Timothy 3:14-17.